The lead warship of the Anzac-class frigates is the HMAS Anzac (FFH 150). It is currenly in use and operated by the Royal Australian Navy (RAN). 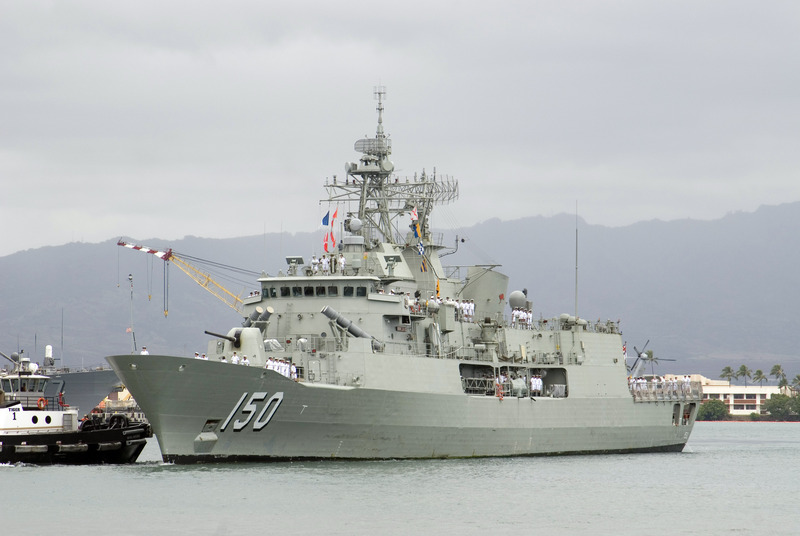 Two frigates from the Anzac-class are also operated by the Royal New Zealand Navy (RNZN). 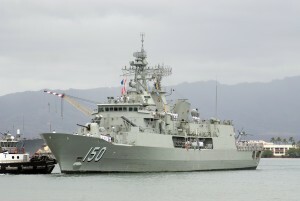 The FFH-150 entered Australian service in 1996, the frigate operated as part of the INTERFET peacekeeping taskforce in 1999. In 2003, she was involved in the Battle of Al Faw, and became the first RAN ship to fire in anger since the Vietnam War. The ship is operational as of 2015. A picture of the HMAS Anzac arriving at Naval Station Pearl Harbor, prior to participating in RIMPAC 2008. Anzac apprehended two South African fishing vessels illegally operating around Heard and McDonald Islands (19979. Anzac was deployed to East Timor as part of the Australian-led INTERFET peacekeeping taskforce from 19 to 29 September 1999. Anzac was deployed to the Persian Gulf for the third time from February until May 2003, as part of Operation Falconer. On 21 March 2003, Anzac provided naval gunfire support during the Battle of Al Faw. The intent of the assault was to capture the Al Faw Peninsula before Iraqi forces could sabotage the two major oil terminals in the area. The frigate began her first fire support mission at 06:04 on 21 March (the first time a RAN ship had fired in anger in 31 years) and completed seven fire missions over a three-day period. In 2005, Anzac participated in a Northern Trident deployment: a round-the-world voyage intended as a flag-showing cruise to the northern hemisphere. During 2014, Anzac was the third ship of the class to undergo the Anti-Ship Missile Defence (ASMD) upgrade. Between March and October 2015, Anzac sailed on a second Northern Trident deployment.